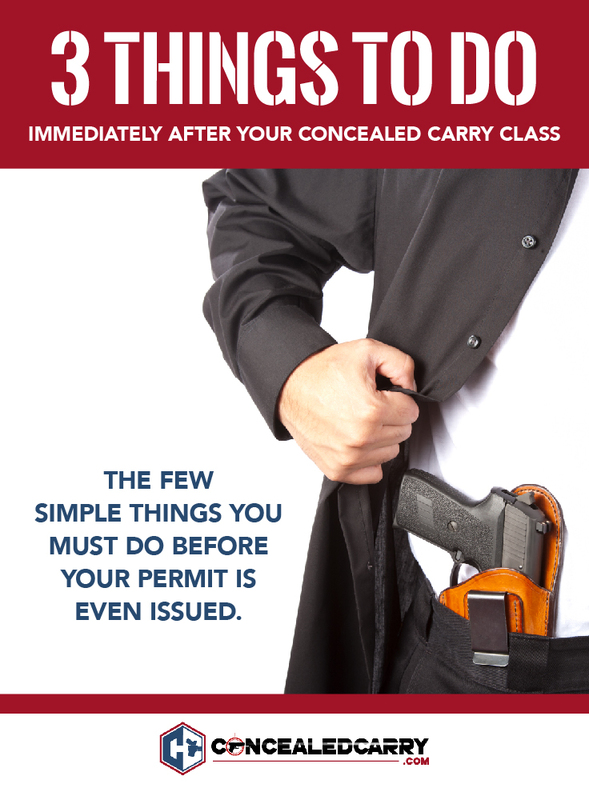 A major part of ConcealedCarry.com's business is devoted to people getting their concealed carry permits through concealed carry classes that we teach all around the country. But what do you do after the class is over and you still haven't received your permit? There is going to be a lot of time after you walk out the door of your class, with your certificate fresh in hand and when you actually receive your permit. The amount of lag will depend some on your own speed and some on the application process of your local jurisdiction. Sitting around waiting for the permit to arrive is the single biggest mistake that new concealed carriers make. While you are waiting for the permit to be issued your brain is working hard to forget all the great things you learned in class and you are wasting valuable time that could be used to set you up for success instead of failure. So this article is going to take a look at the three steps that you should take to not only receive your permit but to be well trained and prepared to carry responsibly by the time you receive it. The first step after receiving your graduate certificate is a pretty obvious one. You've got to go and get your concealed carry permit! I mean, that's the whole reason why you took the class, after all. The application process varies some by state but you likely need to turn in or mail in an application to either a state division or your county sheriff's office. Hopefully your instructor gave you some clear instructions. Do whatever needs to be done to get this done ASAP! Delaying this initial step will set everything back and your learning curve will be elongated and you will be vulnerable on the streets longer than you have to be. Once that application has been turned in the processing time will vary in different parts of the country but you will likely be waiting between 2-3 months to receive your permit. So what do you do with the time while you are waiting for the permit to be issued? Sit and wait? Twiddle your thumbs? Not at all. 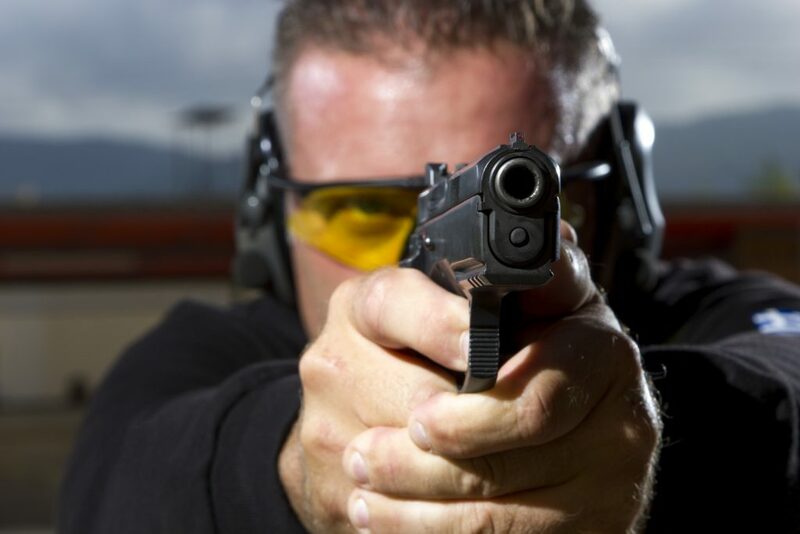 There are plenty of things that you can do while waiting for your concealed carry permit to come to you that will make sure that you are very well prepared for the coming responsibility you will have and this is the perfect time to train for them. Now even though you will not be able to legally carry concealed in public until you get that all important piece of paper or plastic, there is plenty that you can do inside your home, as most states allow you to carry concealed inside your own home without a permit. At this time, it is best to start laying the groundwork strategically for just how you are going to begin carrying. 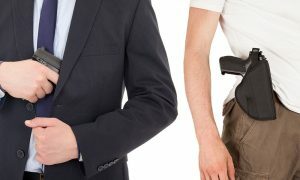 Carrying a firearm concealed requires a lot of lifestyle changes. You are going to have to experiment with Clothing, Holsters, Guns, Positions, and Movements and learning all of these things on the street is less desirable than in your own home. Holsters: Leather, Kydex, Canvas, Waistband, etc. The choices are darn near endless. It can get expensive quickly so take two tips to heart. 1, find friends who carry concealed and ask to borrow old holsters they don't use anymore (they probably have a whole box of these). 2, before ordering a holster online or in a store check the return policy. If you can return it if you don't like it then you have little to no risk in placing the order and giving it a shot. Guns: Small, medium, big. Single Stack, double stack, etc. You have endless options here too. Again, borrow handguns from friends and try them out. You won't know for sure until you try them. Clothing: You should quickly figure out what clothes work and don't work for your chosen configuration of gun/position/holster. These are valuable lessons to learn early on so you can begin to make different clothing purchasing decisions. Rarely does anyone perfect something the first time they do anything. You're going to need to find the best and most comfortable way for you to carry concealed. This is a good time to test out what is going to work for you in your coming day-to-day routine. Do I need bigger pants for concealed carry? How Many Rounds Should I Carry Concealed? Should I carry with a round in the chamber? How do I practice and train at home safely? How to I Draw From Concealed? As you are working on finding a way to carry that is comfortable and of relative ease for everyday carry, the next and maybe most important step is to create a training, learning and practice plan that will work for your lifestyle. This includes, but is not limited to live and dry-fire practice, skill related drills, weapon maintenance, cardiovascular training, and mental acuity. THIS IS CRITICAL: You are starting an entire new lifestyle of firearm self-defense. There is much to learn and much to practice. If you don't stop to consider how you are going to build this into your lifestyle moving forward you are setting yourself up for certain failure. As mentioned above there are 3 critical areas to build into your strategy moving forward. After we discuss these quickly I'm going to show you the easiest and simplest way to move forward without making this more difficult than it has to be. Learning: Your concealed carry training you have received up to this point was foundational at best and only represented the perspective and opinions of one instructor. There is a ton more to learn from a lot of other industry experts around the country. Subscribe to the top YouTube channels, Podcasts, Email Newsletters, and Magazines. Our own content is a great place to start as we feature the best thinking and content from a our network of dozens of instructors across the country in a single place. Use the icons at the top right of our website to go directly to our social profiles, podcast, and mobile app. Training: Training refers to getting more instruction from a trainer or instructor. You can do this to some extent at your local gun club by signing up for their additional classes and courses but it will only take you so far. Eventually you will want to just hire an instructor to work with you one on one. This can get expensive if you don't have access to digital programs like ours (details below). Practice: Practice refers to working on your own to drill and repeat the motions you learned in training so as to build muscle memory and instinctive skills. This can be done in a few 20-30 minute sessions a week for most shooters with a trip to the range for live fire 1-2 times a month. The key is knowing WHAT to practice. Without the ongoing training the practice will get stale very quickly. Now I know that sounds like a lot of things to work on, and honestly, it is. To be a well-oiled machine, you're going to have to have knowledge of a lot of different skills and you will have to put in the hours to become proficient. You wouldn't expect a brand new driver or athlete to be an all star over night and you shouldn't expect yourself to be ready for a gunfight just because you have a permit on it's way from the government. This is why drills are so important, and why USA Firearm Training is adding them in monthly installments to our new platform “Guardian Nation“. Guardian Nation is a community of armed Americans. As a member of Guardian Nation you get access to a curriculum of skills, taught by simple drills that will help you build the skills over time. In addition you will have access to the gear you need with a strong discount on ammo and ALL other gear sold on this website in addition to receiving our popular quarterly box which comes automatically each quarter and is filled with curated tactical gear. With Guardian Nation's monthly skills and drills, we are going to make sure that you know exactly what to do in dozens of situations, and how to best keep yourself tuned for everyday life as a new concealed carrier. And the best part is, these training exercises can be done in the comfort of your own home, at your own pace, on your own schedule, all while you are waiting during that time-frame to get your permit sent to you. So that by the time you receive your permit, you are going to be ready to go, already on your way to mastery. Happy training to you all. Give it all you've got. Episode 69: National Reciprocity a Reality? Good thoughts on carry, concealed or open! Just do it! I took my class on 1-31-16 and with the process of moving I had lost my paperwork, well I found it and am wondering if I will be able to still turn it in and get my permit to carry? Summer what state do you live in? I took my safety training class and got all my paper work for my conceals on 01/27/2017 I’m now wondering if I can turn it in now and get my conceals although it’s been close to a year. I live in Florida. James there is no time limit on turning in the paperwork. You are good! Question i stay in Florida took my class in 3/20/16 in still have not turn my certificate in will I have to retake the class in order to try to get licensed ? As long as you have the certificate it is valid. It never expires. I like your tip about selecting a carry strategy while waiting for the permit to come. This is definitely something I will do while I wait for my permit. I am going to mention this to my husband as well. Is there a time limit on turning in paperwork in Missouri? 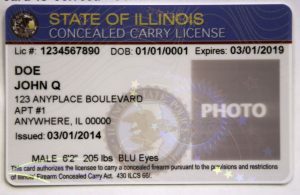 I took the class, and procrastinated, then MO became open carry state, but I would like to go ahead and get the permit. Kimberly, contact your county sheriff’s office (county of residence) and confirm with them. Is there a time limit in Ohio? There is no time limit in Florida. She can still apply. Hello Jacob, I’m Kevin. Thanks fer the info an the time you take on yer research, vids, post an pages. I have been looking at conceiled carry magazine an videos, as well as many others for info fer a good spell now.. Let me explain I am a past Army Ranger, I was a well trained soldier. See here’s my problem Jacob..I was Wounded pretty bad in combat. I triggered a mine during opperations an blew myself up.. I came home in a wheelchair fer life, missing both legs, an a broken back as well as other injurys. Now I have searched everywhere on info about do’s and don’ts, how to an how not to on shooting from a wheelchair, conceiled carry in a wheelchair, shooting classes for someone in a wheelchair, ext,ext fer a few yrs now.. Like I told you Jacob, I am a past well tuned, well trained Army Ranger. I know how to in my Brian, I mean my mind is all there I remember all my training. But my body was broken an now life is completely different than it was, an those ways just don’t work anymore. Do you know or can you recommend someone, or somewhere to get some, most or all the information I seek?? I thank ya much fer time an troubles Jacob, an sorry bout the small book I wrote ya there.. I would suggest looking up Rick Cerino. https://www.youtube.com/watch?v=o1I2UoVIyaw I think he would have some good ideas for you! In Louisiana the class certificate is only good for 1 year. The fingerprints are good for 60 days. So it sounds like your son needs to retake the class. Is there a time frame in NC? The CCH class certificate technically doesn’t expire, but most NC Sheriffs will only honor it for up to one year. If it’s been over a year, most will require the person applying to retake the class. Is there a time limit after the class in ohio? So i took my class November of 2017. I still have my certificate but I have not turned in any paperwork am I still good on getting my license or has anything expired? I am from ohio. Hello Jacob, I received a ‘”Certificate of Completion” for a firearms safety training course in Florida on this month of May 2018 at the Miccosukee gun show, immediately after taking the class, and have yet to receive any mail as further proof of completion. Is this certificate enough to proceed to buy my gun for home use only, or am I missing something that has not yet arrived in the mail? Also, one more question, I have a misdemeanor marijuana charge from over 5 years ago, will this be enough to stop me from getting approved for the Concealed Carry License in Florida? Even though marijuana isn’t such a big deal anymore? Please clear my mind. Thanks for your time and help, it is really appreciated. Nothing is required for you to buy a gun. Just go to a dealer and make the purchase. As to the misdemeanor I don’t think it’s an issue but I’m not as familiar with Florida law. Morris that depends on what state you are in. I’m sure you could call the sheriff’s office and ask. Do you have a permit issued by the government? How long after I get my certification can I go purchase a handgun? In most states no certification is required to purchase a gun. Hi Jacob! I have the same question most here has but I can’t seem to find my state. I live in Texas and my question is how long do I have after completing the course and range qualification to send in my paperwork. It hasn’t quite been a year. Thanks! Just took the class in tn were do I go to get fingerprinted? That would vary by state. I recommend asking your instructor who taught the class. Leave a Reply to Jacob Paulsen Click here to cancel reply.